The cross-section area of the stem or stems of a plant is generally expressed as square units per unit of the area it is growing on. This volumetric description is a ratio of the tree's cross-sectional area at DBH to the total area and called basal area or BA. 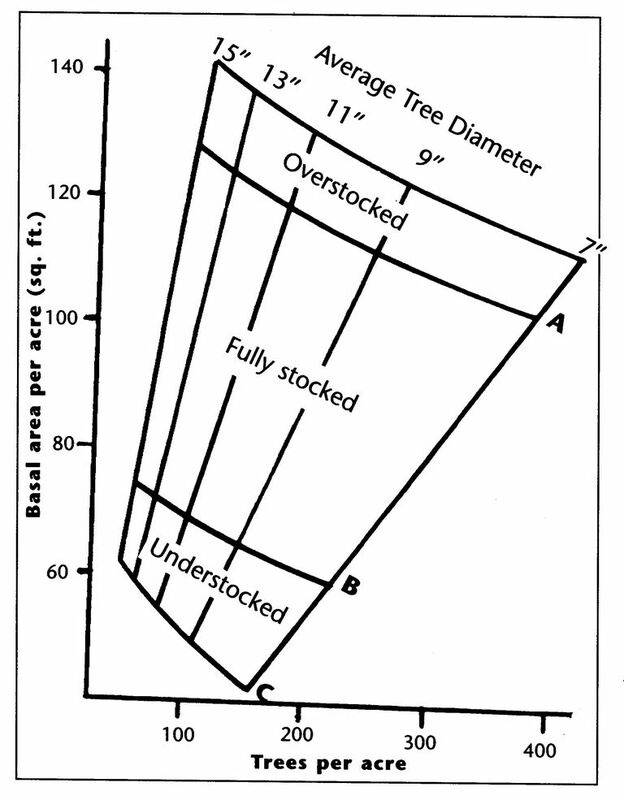 It is used by forestry professionals to determine percent stocking levels of trees in a given area. For shrubs and herbs, it is used to determine phytomass. Grasses, forbs, and shrubs are usually measured at or less than 1 inch above soil level. For trees: the cross section area of a tree stem in square feet commonly measured at breast height (4.5' above ground) and inclusive of bark, usually computed by using DBH or tallied through the use of basal area factor angle gauge or a factored prism. 0.005454 is called the "foresters constant", which converts inches into square feet. The basal area of a 10-inch tree is: 0.005454 x (10)2 = 0.5454 square feet (ft2). So, 100 of these trees per acre would calculate out a BA of 54 ft2. or a count of just over 5 trees per angle gauge count. BA is a measure of the capacity of certain stands of trees to increase annual ring growth. The factors of ring growth have a genetic component but are influenced by all biotic, physical and chemical factors in that particular environment. As stands of trees develop, BA increases as it approaches full stocking, the upper limit of a forest to grow increasing wood fiber. So, basal area measurement can be used to determine a site's ability to grow a forest tree species accumulated over the tree age in years. As BA increases over time, measurements shown on growth "curve" graphs indicate a slowing in growth according to species' growth and yield charts. Timber harvests are then made to reduce the BA to a point where remaining trees regain the ability to maximize growth toward a final, mature, valuable forest product. BA is not a volume calculation but the measurement can be used by foresters in determining volume using statistical tree stem occurrence and is an important tool for a timber inventory or timber cruise. In the same vein, a basal area tree count tells a forester how "occupied" or "crowded" a forest site is and assists in making harvest decisions. In managing a commercial forest as even-aged stands, you are forcing one distinct age class to be maintained through the harvest cycle (three or more harvests). These stands are often regenerated by using clearcut, shelterwood, or seed tree cutting methods and require the right basal area beneficial to each method. A clearcut forest is usually replanted or artificially seeded and has no measurable BA. A shelterwood harvest may leave a tree stocking level as high as 40 sq.ft per acre 10 factor BA. A seedtree harvest may leave a tree stocking level as high as 20 sq.ft per acre 10 factor BA. There are many stocking guides that reflect density for even-aged stands (also called stocking charts). 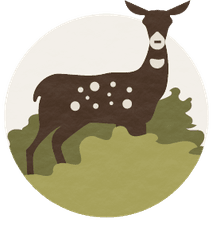 These guides assist the forest manager in determining if the forest is stocked with too many trees (overstocked), too sparsely stocked (understocked), or adequately stocked (fully stocked).